It’s also last call for iZombie, which The CW announced today will end after its upcoming fifth season. Fans didn’t have the comfort of knowing that show’s fate in advance—it’s a shame, really, all that brain-eating for nothing—but must have known that it was in peril, given its low ratings and the fact that it didn’t get its renewal notice until today, more than a month after Jane The Virgin and Crazy Ex-Girlfriend. 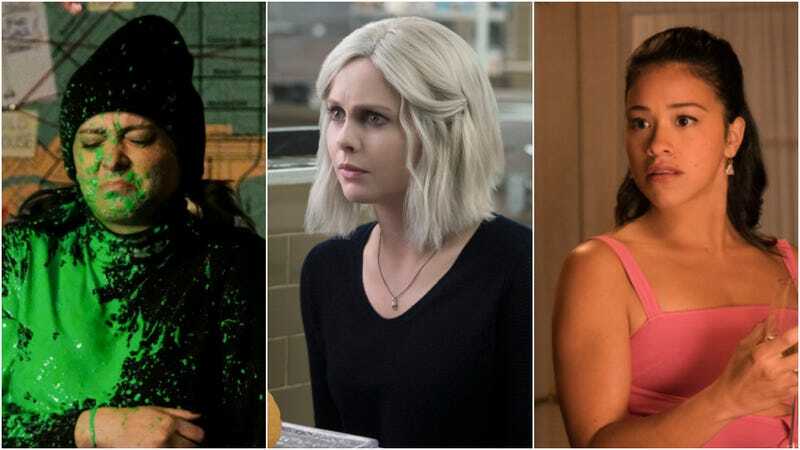 iZombie’s fifth and last season will premiere in midseason this fall, as will Jane The Virgin’s. Crazy Ex-Girlfriend’s fourth season is on the fall schedule, and will air on Friday nights at 9.